Effective pallet wrapping could mean the difference between a pristine delivery and one that results in a return. Here at Kingfisher Packaging, we understand the importance of protecting your product during delivery. That’s why we have created a collection of detailed and informative videos to help demonstrate the effectiveness of our Pallet Wrapping machines and dispensers. No matter the size of your product, pallets are commonly the most effective transport solution. They provide a sturdy base and can be wrapped in polythene alongside the items transported. 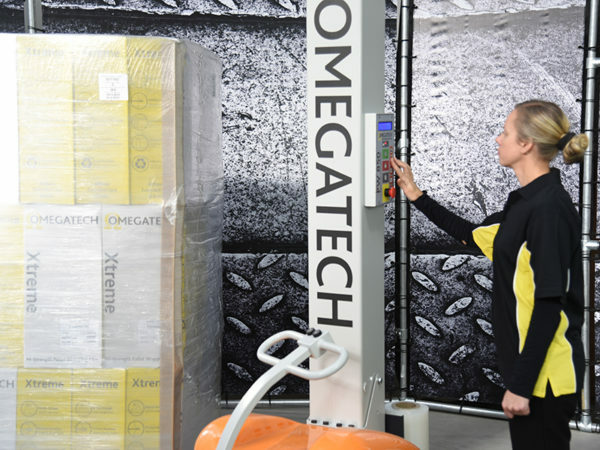 Many businesses opt for pallets and require high-quality machinery to perform the cumbersome task of wrapping the orders for shipping. That’s where we come in and where our videos can help. Using members from our team, these videos aim to demonstrate the ease with which our machines are designed. They can be integrated into your existing product line easily and require minimal interaction, reducing the risk of human error. The videos below have been filmed from a customers viewpoint, designed to look into each tool in detail and provide visual answers to your questions. Kingfisher Packaging are proud to be leaders in our field and strive to deliver the highest quality solutions to every single business. The machines and dispensers that we supply are manufactured to withstand rigorous use and the demands of a modern organisation. Contact us today for more information today. Our expert team will provide you with advice and tips to help you make the right decision with your packaging requirements.